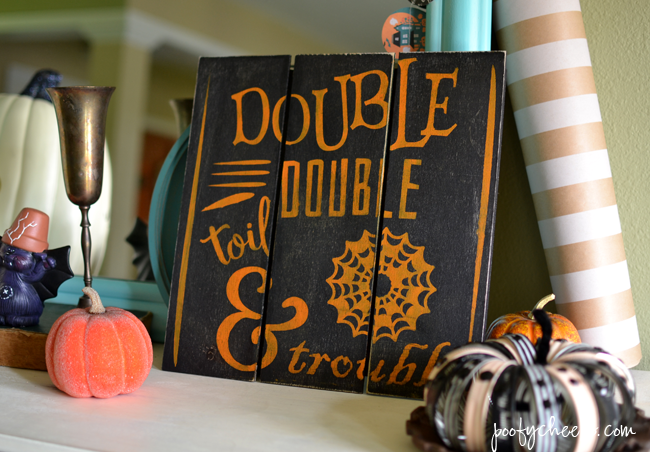 Mini Pallet Halloween Sign – This post contains affiliate links. I walked outside this morning around 7am to take the boys down to the bus stop and I felt a chill. The 90 degree humid air wasn’t bogging me down. I felt a CHILL people. I was filled with excitement and quickly took in a big breath of the fresh, cool air. I turned and asked the boys if that felt it and they responded with some mumbling about having to ride the bus to school. I looked back and quickly reentered my fall fantasyland. Once the boys were safely on the bus headed to school I returned home and opened the door to be greeted by my Halloween decorations. We pulled the decos out last week as I had mentioned and one of my newest and favorite decorations is right inside the door. I made a mini pallet sign that I am in love with! I don’t mean to toot my own horn but TOOOOOT! If I didn’t know better I would have said I bought it at some cute downtown shop for an overpriced amount. Luckily I just used some cheap shims from the craft store and a scrap piece of thin pine. I’m betting you want to know how I made this beauty? Here is the tutorial but I am short a few pictures because I shared the tutorial on periscope and did the painting at night with bad lighting. Have you tried periscope yet? 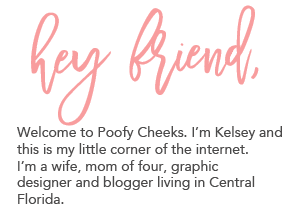 (I’m @poofycheeksblog) I like it but I am still trying to get over the awkwardness of being live! 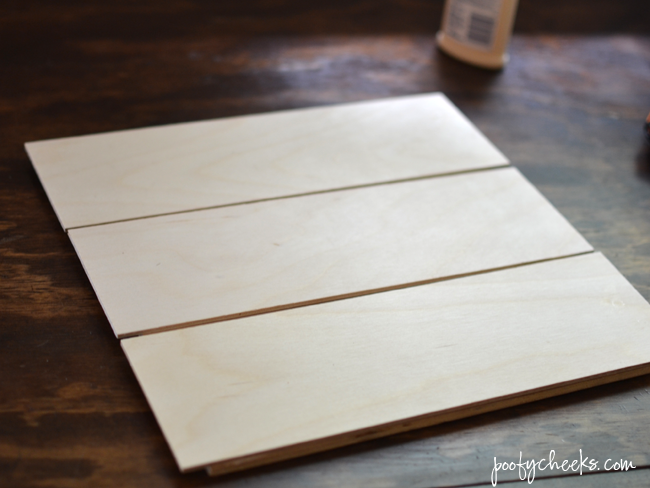 Step 1: Use wood glue to attach wood shims to a scrap piece of wood or two shims running the opposite direction. Allow to dry completely. Step 2: Cut out THIS design along with the spider web onto removeable adhesive vinyl using a Silhouette. Then weed the design taking out the letters and design elements. You want to leave the background area behind. 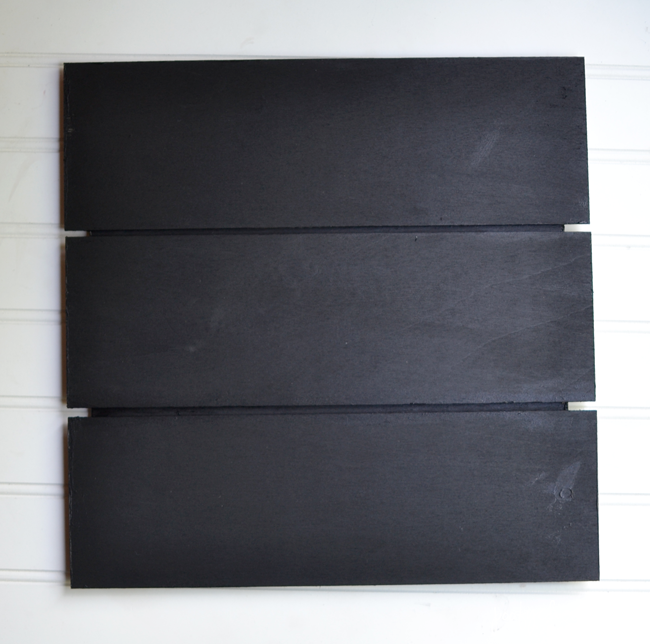 Step 3: Paint the mini pallet black and allow to dry completely. 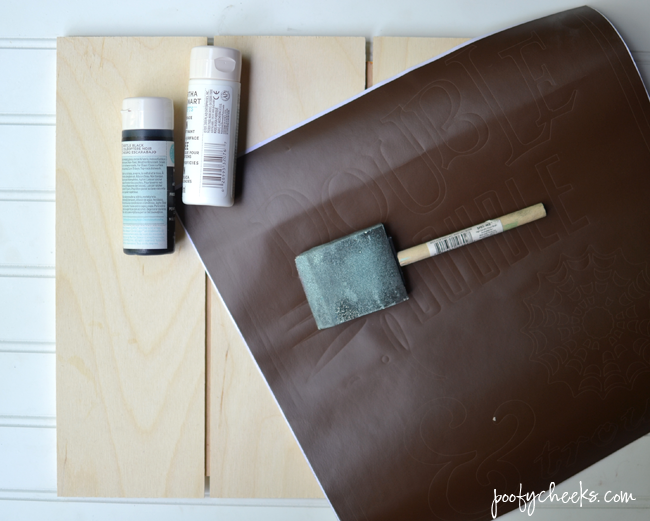 Step 4: Apply the ‘background’ portion of the vinyl onto the mini pallet using transfer tape. 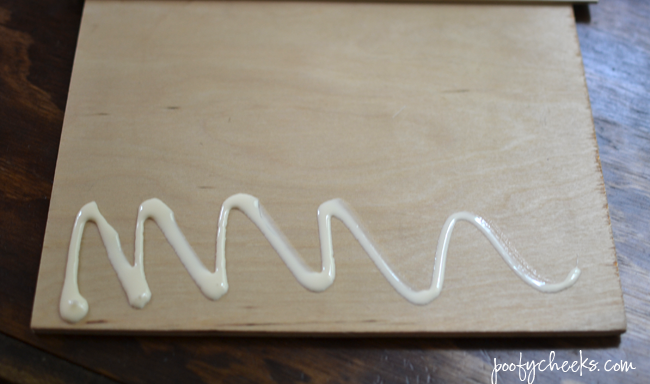 Once the design is placed over the wood use a foam brush to dap paint into the open areas. *I did three coats of orange over the black as it was hard to cover. Step 5: Gently remove the vinyl and you will see the orange design on the black sign. 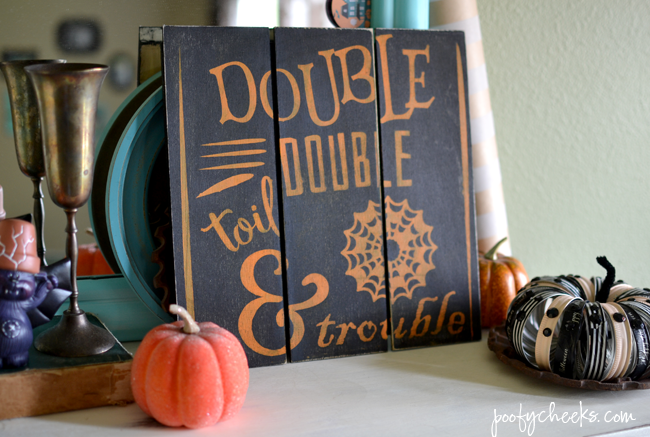 Use a piece of sandpaper to give the entire sign a worn look and to remove any imperfections that might happen while painting. I wish I would have taken more pictures of the process but to see what I am talking about I have pictures from a Valentine’s Day canvas HERE I made using the same technique. Is technique the right word for this? Oh, well you get the point! I’ll be off singing ‘come little children I’ll take you away‘ wishing I was going to be at Disney World with the Sanderson Sisters for Mickey’s Not-So-Scary Halloween Party! Yes, they are going to be there!!! I’ll have to settle for the movie on my couch instead.